Valentine’s Day is best known as the month for love and giving. 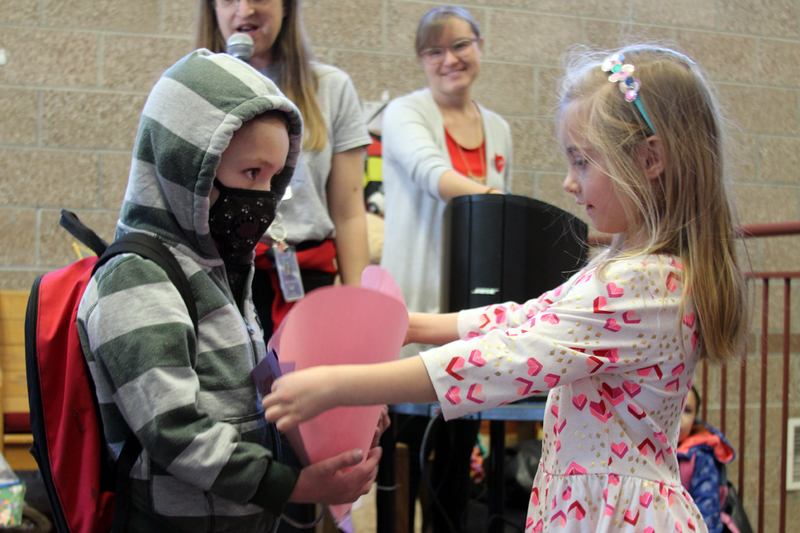 This was certainly the case at Ann K. Heiman Elementary as the school celebrated Valentine’s in rare fashion by dedicating the day to a very strong and brave young man. 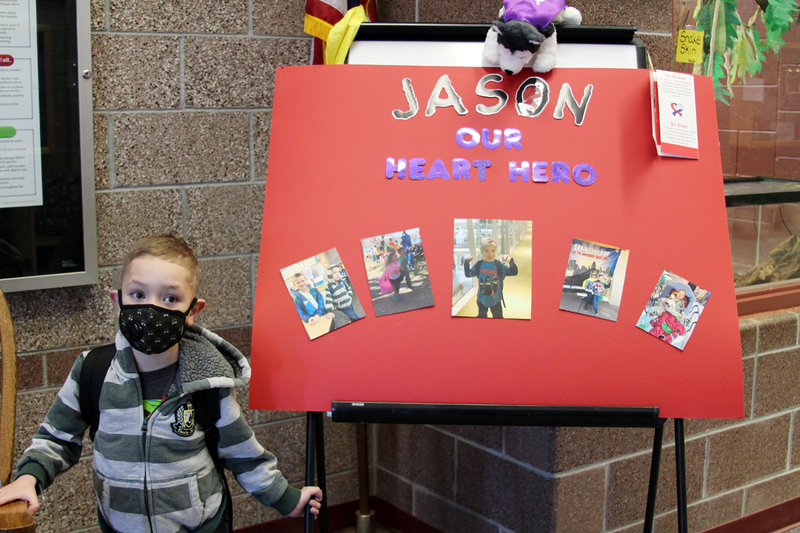 Jason, a kindergarten student at the school was diagnosed with a rare heart defect called CHD. Congenital Heart Disease means that he was born with an abnormally structured heart and/or large vessels. 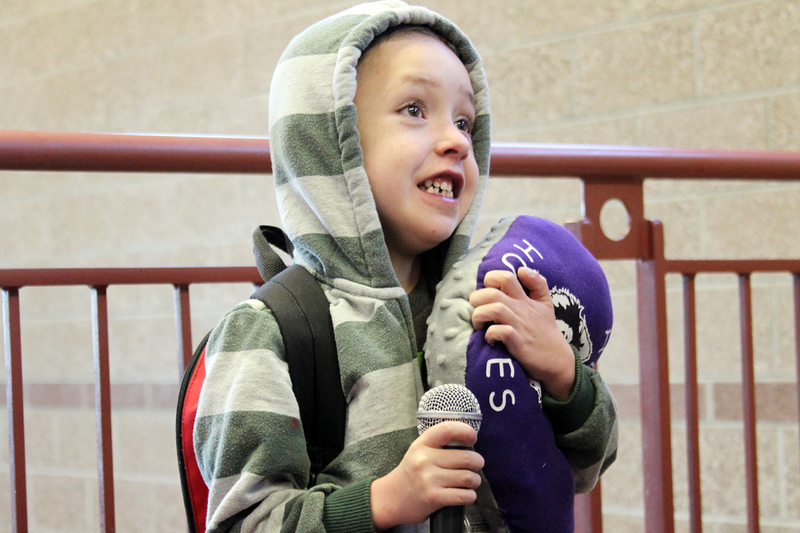 The “Heart Hero”, as staff and students know him as, is currently #3 on a waiting list for a brand new heart. 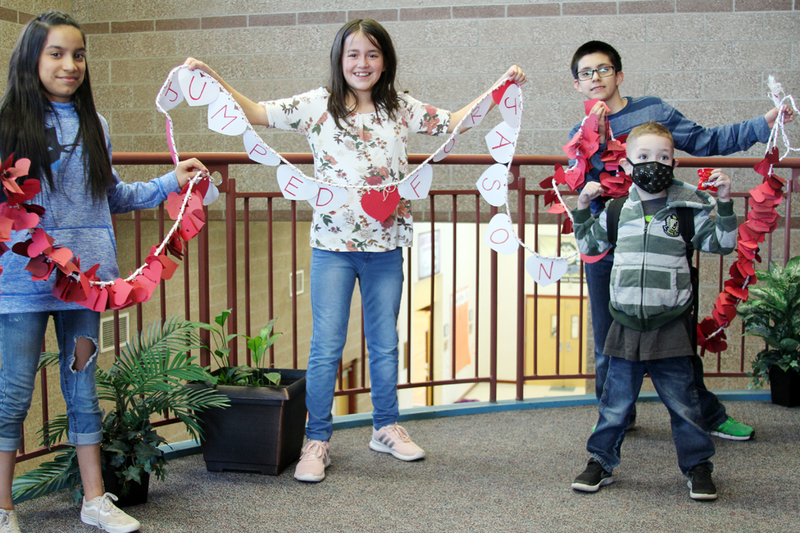 This past week, the entire school came together during “Jump Rope for Heart” dedicating a string of hearts composed of 680 student signatures for him. A huge box of “get well” valentine notes was also presented. Finally, Mrs. Holly Kerkes’ 5th-grade class sewed together heart pillows in their life skills class that they presented to Jason and will give to other children at the cardiac ward in which he will eventually be receiving a new heart. It was touching watching the Heiman Husky student body, staff, and administration come together and support Jason. I tend to put myself in situations and ask, "What if it was my son?" These questions always rattle me a bit and I can honestly say - It would be tough. Emotionally and physically demanding. I've learned first hand, do not take the smallest things for granted. The holding of your child in the morning. Playing at the park and laughing. The tucking in and prayers at night. Cherish them and hold on to them for as long as you can. It will be such an uphill battle for our “Heart Hero”, but we will continue the chant - “Good Luck Jason - Huskies don’t give up”! 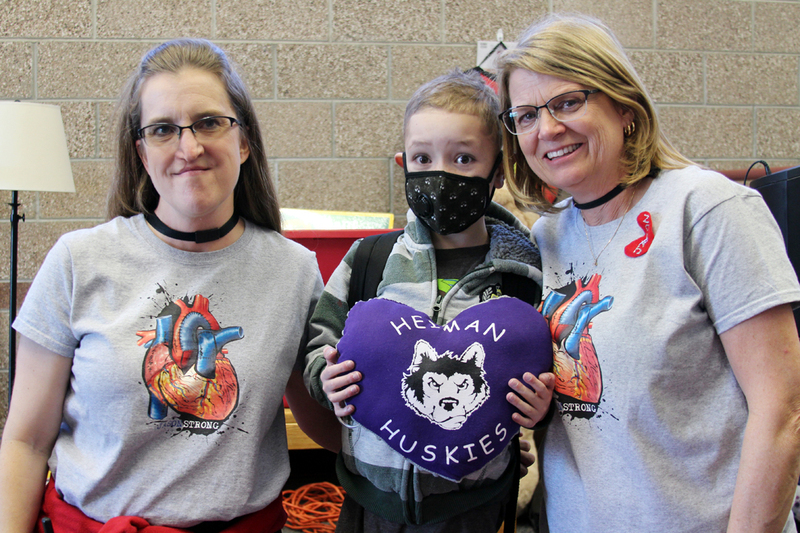 Heiman Elementary (3500 Palermo Ave, Evans, CO) is currently seeking community donations to support Congenital Heart Disease month and the family of Jason. They are currently seeking coloring books, 8 pack crayons, playdoh sets, baby blankets, kids DVDs, iTunes gift cards, restaurant gift cards and travel size games/puzzles. Field Day – The BEST DAY!